Saturday, Madona, on karting track, was held Latvian Championship 1st stage. DD2 class took place in the race incident when collision 2 riders, one of them - Jānis Boks experienced an unpleasant incident that ended at Madona hospital by connecting more bone fractures. Currently, athlete's health status is stable and his life isn’t in danger. Search Terms Article explains the Stewards Dairis Vīksne "DD2 class trip at fifht circle, directly behind the third steward checkpoint collided 2 riders - Jānis Boks and Jevgēņijs Monahovs introduce as a result Jānis karting threw somersault and athlete himself got several injuries - bone fractures. Immediately in track appeared red flag that represents the race trip interruption, the first who came to the victim was distances Chief Pēteris Zorģis, which got emergency Place Search Terms Article to provide security rules. I, in turn, without judges control station acted to help ambulance as soon as possible to the victim. And also I detained several people who wanted to get closer to the place of incident. It needs important ensure proper first aid athlete race accident, if one has been the United Nations can only be authorized persons. The only person who had access to the victim before the ambulance was a doctor - reanimatologist, which personally know the victim and which was closer the accident place and I personally called for help. It should be noted that emergency police were the too. Victim received less than a minute help since the incident, victim was hospitalized for less than 10 minutes a time, must also be expressed gratitude to the victim's team and friends who helped doctors lead, as athletes performance should appoint ambulances . Thanks also to the nominal value of the operational work of the judges! " Currently we are waiting for accurate news about Jāņa Boka condition: "Duroing communication with Jānis doctors learned that the health condition is stable and accurate information we will receive when new week begins. 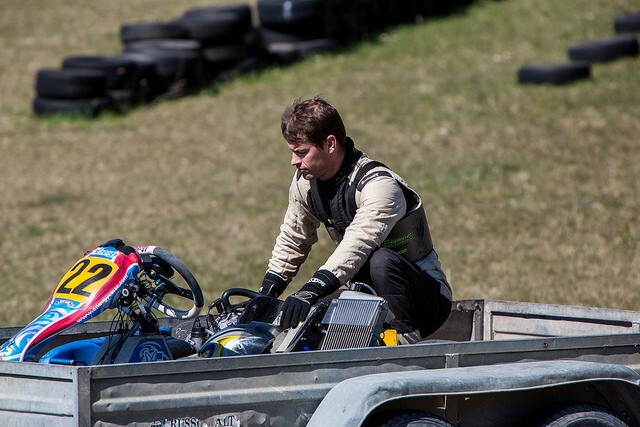 We wish a fast recovery to Jānis,” said race organizer and LAF Karting Commission director – Valdis Brutāns. LAF expresses its gratitude to the people involved - the rescuers, medics, police and track judges as well all athlete’s friends, acting in accordance with the protocol in crucial moment could adopt important decisions and help. Žēl, ka tā. Bet nu ar to ir jārēķinās, lai vai cik skarbi tas nebūtu. Bet cilvēki, kuri ar to nodarbojas, nav apturami! Turies un veseļojies, Jāni! Uz drīzu tikšanos trasē!